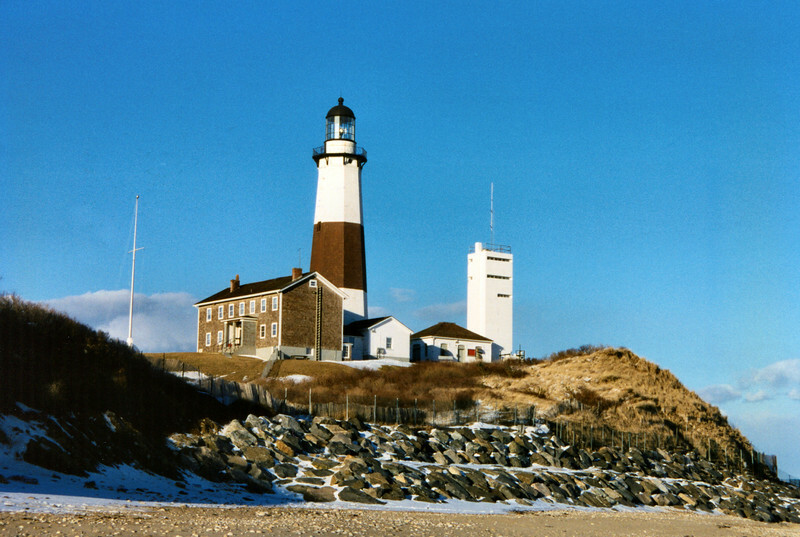 The eastern tip of Long Island, NY, known as "The End’ to the locals, is home to the 4th oldest active lighthouse in the US, the Montauk Point Light. Long before the erection of the Statue of Liberty the Montauk Point Light was the symbol of the promise of America to thousands of European immigrants. Turtle Hill, where the lighthouse was built, has a long history of signal fires being built on it by the Montauket Indians and the British. In 1792 Congress appropriated monies to purchase land at the tip of Long Island to build a lighthouse. A New York builder named John McComb submitted the low bid to build the lighthouse and was awarded the contract. McComb had previously built the old Cape Henry Light in Virginia in 1791 which also stands to this day.